The brand new Podbean Podcast app has just been released on the app store. 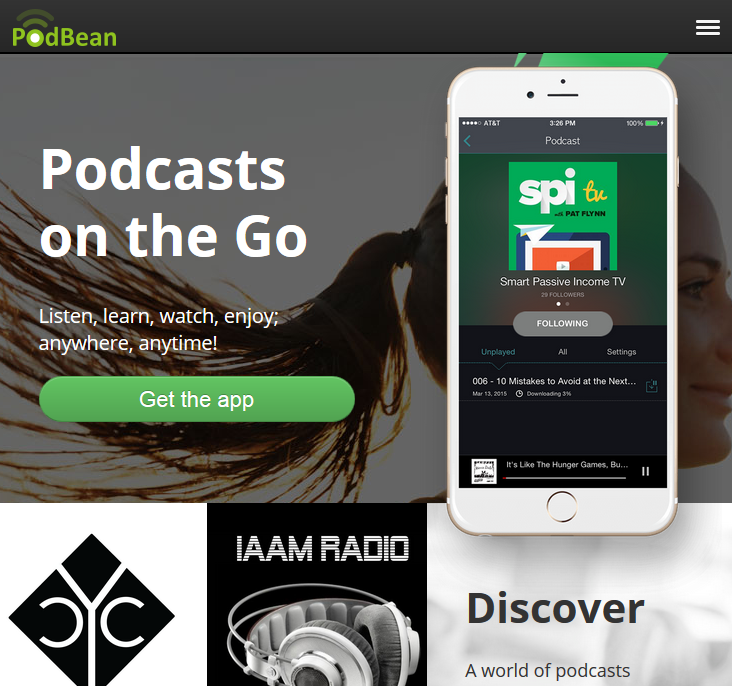 The Podbean app offers podcast listeners a better way to listen to podcasts on the go. With the latest features, it’s easier than ever to explore and enjoy a whole world of podcasts, at your fingertips. Access Podbean’s extensive network of podcasts, search by categories, and subscribe to your favorite podcasts or discover new podcasts while on the go. Instantly stream or download podcasts to play any time, even offline. Stay updated: automatic downloads of your latest episodes; option to auto-delete played episodes. Stay organized with smart playlists; view your play history and mark favorite episodes. Enjoy a streamlined interface and convenient player options such as play speed adjustment, timer and sleep function. Visit the app store to download the FREE Podbean Podcast app today! Listen, watch, learn, enjoy; anywhere, anytime! Contact us at support.podbean.com with any questions. Stay tuned for our Android app, coming soon!